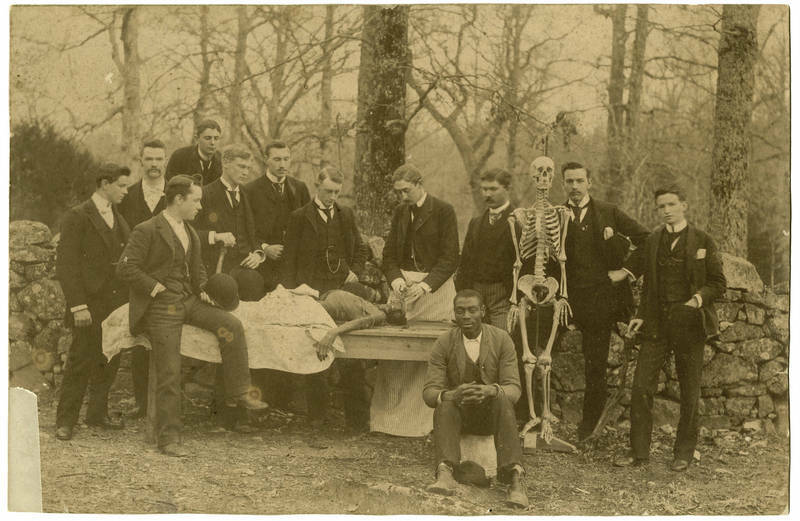 Obtaining corpses for anatomy classes was difficult during the early years of the medical school. In the South, this role fell to African Americans. The unidentified black man in this 1890 photograph may have been Chapel Hill's "resurrection man."